Illustration is as ubiquitous as photography and graphic design, yet often overlooked when it comes to the acknowledgment of visual communication disciplines. The least theorized of all the major disciplines of contemporary visual communication, its key strength of responsiveness to context has ironically rendered illustration practically invisible. Even within illustration levels of theorization are inconsistent. For example story book illustration is noted as a primary device in young children’s literature or the political cartoon’s through the tradition of satire, but the major area of editorial illustration, illustration within newspapers and magazines have been largely ignored. The distinctive domain of Editorial illustration is an integral part of printed communication, in daily newspapers, in magazines as well as in specialist and professional titles. These images are tailored to visualise the concepts that lie behind the analysis of news- and current events, science and fiction encompass all the techniques and visual grammars of illustration. Moreover it has close and instructive links to both photography and fine art traditions. In the last 150 years, the journey and development of technologies and forms of expression in communications media have shaped the possibilities and context for images presented through these carriers. 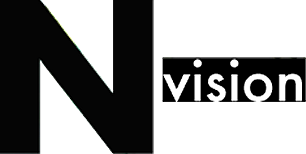 They have also shaped audience perceptions and over time the relationship between audiences and visual information has grown ever more sophisticated and more open-minded. In turn this growing sophistication of audiences has influenced the approach and style of the photographic and illustrated image, making the boundaries between the disciplines increasingly blurred, particularly in the era of digitisation. Perhaps because of its all encompassing yet elusive nature coupled with its intrinsic quality as supportive rather than the dominant partner, editorial illustration is seldom noticed as the key visual communications mediator and cultural signifier it really is. It clearly warrants deeper understanding and re-evaluation as a core communications medium. In this article I would like to begin the task of illuminating the importance of editorial illustration as a distinct area within illustration and visual communication as a whole. Here the ideas of Walter Benjamin, Susan Sontag and Roland Barthes form a starting point. Though in their writing they predominantly focus on the role of photography and film, their ideas reflect important and broadly held insights into visual communication and the nature of reproduction. Editorial illustration is in so many ways similar and tied to this ‘other’, dominant, visual medium in newspapers and magazines, that I feel looking closely at their ideas will point to the areas that are also specific to editorial illustration and where new research should shine more light. In ’Bleeckerstreet’, Saul Steinberg playfully observes a street scene in a part of New York, which in the 1960’s was well known for its bohemian culture. The illustration shows a parade of wildly different and bizarre characters, created in a wide range of drawing styles referring to American icons, clichés and characters that are part of Steinberg’s personal visual grammar. His observational commenting style does not tell you wrong or right, but he gives the viewer the freedom to fill in the characters with his or her mind-pictures. This visual game arrests the attention and allows the illustrators idea of Bleeckerstreet to sink and mix with the viewer’s own understanding. If this had been a photograph of the same street, no doubt this would have made for interesting examinations and some enticing viewing, but the timeframe of the moment and the specificity of the people and elements would have gotten in the way. Where Steinberg creates a timeless image about the idea of Bleeckerstreet, a photograph would have been hooked onto the era and the individuals present at the moment in which it was taken. ‘What I draw is drawing and drawing derives from drawing. My line wants to remind constantly that it’s made of ink.’ said Saul Steinberg, illustrator who is well known for his insightful observations of human life, philosophical ideas and social interaction. Though this seemingly obvious statement might simply point to an aesthetic approach to illustration, in fact it points to far more than this. It tells of a profound understanding of the reality of the medium, leaving no doubt that he knows the expressive possibilities and limitations of pen and ink. He consciously mixes his own visual inventions, metaphors and clichés, but also media, expressions and styling. Steinberg will use any form of expression or medium that he feels is necessary to convey his ideas to the audience he is aiming at. Illustrations inability to present a photographic copy of reality allows it to create visuals opening to the focus on ‘the how’ and ‘the what’ that lies hidden beneath the evidential surface. Not all viewers might grasp the exact associations of all of the personal, semiotic and historical references, but he is careful to narrate to the widest denominator of his audience, whilst at the same time giving exclusivity to the more informed viewer. 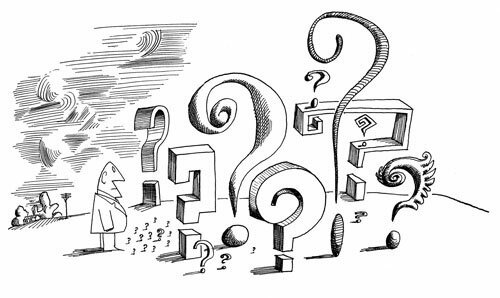 Saul Steinberg places his work wholly within the realm of reproduction and mass communication through printed magazines. Here he finds that the intellectual potential of images made for publication lay precisely in their being a ‘modest medium’, in which the spectator responds to the artists statement without requiring that it satisfy ideals of aesthetic prestige’. 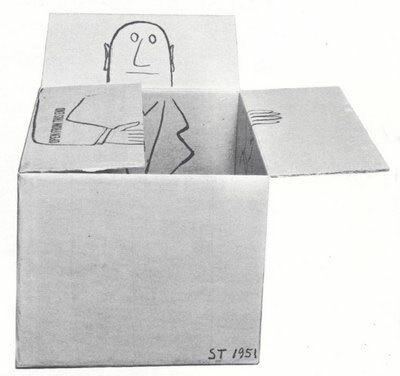 Saul Steinberg exemplifies and explicitly champions the power that lies within illustration. In ‘the Art in the Time of Mechanical Reproduction’, Walter Benjamin describes the discovery of photography in the 19th century as a major shift in visual art and reproduction, where the power of the photographic image forced the visual disciplines to redefine their roles. In the mid-nineteen century, in what turned out to be the last stages of the illustration as newspaper reporting you would definitely say illustration was impatiently waiting for photography to come. Though photography was already widely used, the ability to print photographs in newspapers wasn’t widely available until late nineteenth century. In line with the techniques of the day, the reporting was visualised with woodcut prints based on photographs, ‘reporter-illustrators’, sent out to the scene to make quick sketches and dramatised eyewitness accounts. On the 5th September 1887 in the Theatre Royal in Exeter during a premiere performance with an audience of 800 people, the drapes at the stage caught fire. Within moments the flames spread through the building and though the fire brigade quickly arrived this could not prevent the death of 186 people. The disaster was the worst theatre fire in British history. On the Exeter Memories website there is a revealing account of the event and comparison of the visual reporting of this incident in ‘The Illustrated Police News ‘(10 September 1887) and ‘The London Illustrated News’ (17 September 1887. It shows the original photograph, but also the newspaper illustration based on this photograph along with the dramatised moments of the fire and the aftermath showing remnants of the building and even the displayed burned bodies. This collection of images clearly shows the various techniques used to visualise the stories as well as the different hands of the anonymous makers. You can distinguish which images were based on photography and which are based on ‘on the spot’ sketches or dramatised eyewitness accounts. Moreover the content and the way this content was presented shows the different editorial stance of the two news papers, where the Illustrated Police News was a sensationalist newspaper, the London Illustrated News was more ‘respectable’. The illustrations of the Exeter Theatre Royal fire, demonstrate the limitations but also the qualities of illustration. As a tool for evidencing actuality it fails, it remains clearly an interpretation, in which dramatisation attempts to compensate for lack of realism. But however melodramatic these images appear to the modern eye, this capacity to combine the informative with dramatic and emotive visual narrative are core characteristics of illustration and are still powerful resources in the illustrators toolbox. Many qualities of the press photograph were already embedded in news illustration but the fatal limitation of editorial illustration’s to capture the ‘real’ would be the cause of its demise. In ‘Little History of Photography’, Benjamin points to the ‘real victims’ of the rapid developments of photography in the 19th century being the portrait miniaturists. But perhaps you can argue that the tradition of news illustration is equally, if not a more, significant victim of photography’s rise. Where the miniaturists could replace the brush with the camera, as many did, the illustrators and engravers of news reporting could not change so easily and were all, except by court illustrators, replaced by press photographers. At the moment that news illustration had to relinquish its evidential function, contemporary editorial illustration arose. ‘It is through the photography that we first discover the existence of this optical unconsciousness, just as we discover instinctual unconscious through psychoanalysis…. Yet at the same time photography reveals in this material physiognomic aspects, image worlds, which dwell on the smallest things- meaningful yet covert enough to find a hiding place in waking dreams, but which enlarged and capable of formulation, makes the difference between technology and magic visible as a thoroughly historical variable’. A photograph through close-up or shutter speed can reveal the hidden realities from the scene in front of the camera. When you look more carefully to an editorial illustration something akin could be noted. The way a photograph is always linked to the material reality, editorial illustration is always linked to a text or editorial idea. Related to this text, in whatever way expressed, illustration exists to bring about the hidden, ambiguous or meta ideas and also sometimes covert editorial opinion, which when put in words can be seen as too dangerous or slanderous. The illustration goes beyond the visualisation of the event or situation, and points to the concepts and values within for a deeper understanding. Editorial Illustration is always been connected to a message that needs to be communicated, it must be contextualised by a published medium and be aimed at a selected audience for whom this message is meant. Roland Barthes in his essay The Photographic Message refers to equivalent conditions for the press photograph. The meaning of an editorial illustration lies within the bond between text and image, guided by the way it is presented and related. This includes the titles, the captions and all the other parts of the paratext to which it is directly related. Beyond the page on which it’s printed, there is also the newspaper’s cultural and political stance, which directs the way its content should be understood. From the outset illustration was meant not only to be read, but also to be understood. It was not enough that the message is sent it had also to be received by the audience it set out to reach. A growing awareness of the way images are received was the basis of the growth of the phenomenon of mass visual literacy. All news- and editorial images exist to attract the reader’s interest, deliver visual information and support an accompanying text, providing new insights to the information. From a design perspective it facilitates the readability of the article, the navigation of the page helping to distinguish one editorial title from another. The twentieth century with its explosion of new ways of seeing gradually made a wider public familiar with a greater variety of expressive means. Through reproductions and articles of fine – and non-western art forms, editorial media was speaking to an ever-widening audience that had become acquainted with new forms of visual expression. Starting with the influence of avant-garde movements, gradually a new language of visual storytelling became part of the mainstream and the growth of a wider visual literacy and meant that images could become increasingly abstracted. This in turn meant an increasing emphasis on understanding the distinctive intellectual and cultural references of different audiences, each of whom has its own signifiers, get it wrong and the communication fails. An experimental qualitative reception study in 2002 showed that the more informed the audience, the more the need exists for a more mediated image. The picture reflects the viewers own expertise and status and a ‘stereotypical’ photographic image is more likely to clash with their understanding and experience. It is therefore not surprising to see current affairs magazines and opinion -, analytical – and science sections of newspapers as the areas where most editorial illustration is found. Not only does the abstracted nature of the content require visual clarification and support but also the level of understanding of the readers requires less evidencing visuals are more recognition of the reader’s intelligence and knowledge. In his essay ‘Little History of Photography’ Walter Benjamin points to a statement made by Berthold Brecht regarding a photograph of the Krupp factory. Where the mere representation of the factory building was not enough, something needed to be constructed in the image to show the human relations regarding this factory. For Benjamin the photograph needed to be able to evidence the larger story, that of the political significance. It was very clear for him that a good photograph was not just a reproduction of a reality, it had to be able to go beyond it and reveal its hidden truth, in portraits, cityscapes and objects alike and that in order to do so, an image was allowed to be constructed. Starting from an initial belief in the pure evidencing power of the photograph, a hundred years of daily visual literacy classes in printed and moving image media, brought the realisation that what you see might have happened in front of the lens, but that by no means happened beyond the selective frame or as presented in the print. Newspaper readers now likely to judge the news content of the image no longer on the content alone, but context and appearance play almost equal parts. ‘Is it grainy and badly composed – this is eyewitness stuff from a mobile phone/camera. Is it crisp and has an interesting composition, here is a professional photojournalist at work, with a professional distance. No longer does the press photograph by definition cling to its status as capturing evidence of the real, today’s photography is far more outspoken in declaring its nature as a construction. It exists more as an invitation to the viewer to look beyond the picture at hidden ideas implicated by the description of the depicted event. ‘The camera is getting smaller and smaller, ever readier to capture fleeting and secret images whose shock effect paralyses the associative mechanisms in the beholder’. The camera is not only getting smaller, it’s also getting cheaper and integrated in every day objects and every day life. The cameras evidencing role is increasingly handed over to the public (and to automated image capture through CCTV). Armed with their mobile phone-cameras the amateur eyewitness can give the ‘real-time’ visual account, no photojournalist is able to give. Furthermore, in most cases these images bypass the ‘big’ newspapers through mobile sharing and social media platforms such as ‘Flickr’ and ‘Facebook’. Only when they are deemed significant enough they are taken up by official media platforms that present them. No longer do they show the image as an exclusive to its readers but to make the readers understand that this media-title is part of the global conversation. Though there are many similarities in photographs and illustrations, there is one clear difference, namely the photographic ‘reality’ of the image. It seems that here is the clear divide, but in this age of digitalisation, this divide has become blurred and challenged. Perhaps we should decide on a different way of determining the nature of the visual in a contemporary editorial context. It may require a way of thinking based on disciplines rather than media, it would allow for a far more considered and connected ways of looking at editorial visual language. Within editorial publishing I propose introducing a distinction between on the one hand, news- or press photography in which the content focuses primarily on the authentic evidencing relationship to reality. On the other hand editorial visual communication[nh1] , which either visually partners the written content or a more autonomous position representing editorial points of view or ideas using any medium possible. Roland Barthes speaks of the denoted and connoted message of the image. 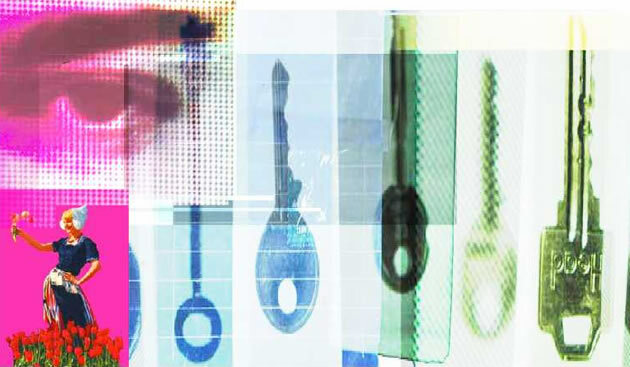 Where the denoted message could be transcribed as the raw visual data of the image, the uncoded or continuous message, whilst the connoted message refers to the style, the usage of symbols and symbolic references and the cultural interpretations put into the image. In the context of published media, the news photograph is as close as we’ll get to the uncoded image, but there is no image free of connotations, as soon as they are placed in a communication context. There is always a directed reason for using a particular image in a particular place . Editorial visuals work from an opposite principle and are expected to play with its connotations. The intent and its effect determine how the editorial visual is to be interpreted. Where a drawing might be understood as distinctly coded, the manipulated photographic image tries to play on its deliberately ambiguity. The photograph by Mannie Garcia shows the future US president Barack Obama sitting next to George Clooney, famous Hollywood actor, at a conference ‘speakers’ table. They are both looking up at something that is happening outside the frame of the camera to the left above them, possibly a PowerPoint presentation, Other elements in the image fit the ‘run of the mill professional conference ’look like the glass of water, the silicone wristband, microphones and an American flag set of against unobtrusive backgrounds colours. As a photographic image it does not seem to have an exciting angle, light or composition. If not for the subsequent fame of the illustration for which it was the source, this image would have remained in obscurity. 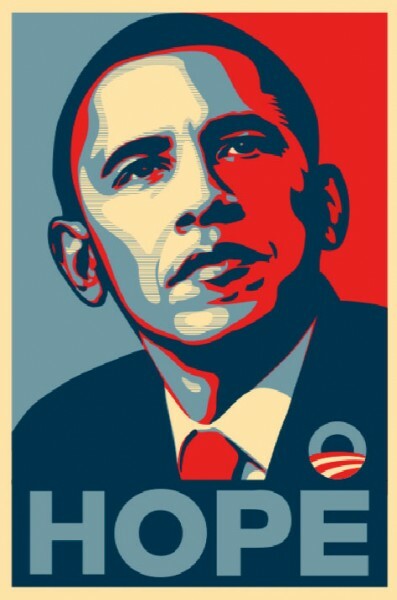 The Obama “Hope” poster, an illustration made by the illustrator and graffiti artist Shepard Fairey is according to Peter Schjeldahl art critic at the New Yorker the ‘most efficacious American political illustration since “Uncle Sam Wants You”. Fairey used a crop from the photograph of Mannie Garcia, isolating the head of Obama, which now clearly reveals the low horizon, a classic pose to leadership. This photograph formed the basic template for the illustration, in a strong graphic stencilled style an approach derived from graffiti-art the portrait of Barack Obama is presented in the muted colours of the American flag. Below the portrait the word hope is placed in strong capitals and slightly above it in the right hand corner is the symbol for the ‘hope campaign’ a shape showing stylised reference to a ploughed field and rising sun. The effect is a gripping portrait, connecting a mix of generic and subconscious visual references of Russian constructivist posters, of the sixties peace movement, (in particular that of Che Guevara) and finally an uncanny likeness to a portrait of John F Kennedy. It echoes with connotations to uprising, changing times, utopian ideas and charismatic leaders but then in a more acceptable toned down American palette. The significance of the ‘Hope image’ and its impact as the most iconic image of the Obama election campaign, helped to rally a broad spectrum of the American public behind one man. It also puts illustration back in the centre. It reconnects with the power of the illustrated image. The American public, fed on a diet of many years of media input through film, television and print was able to connect its subconscious knowledge of iconic images of leadership, Americana and forward thinking to an image playing out the ‘drama of the leadership’. The illustration had no intention to show a real man but rather communicate an unspoken idea of the leader, who happens to resemble Barack Obama, candidate to the presidency. Even though for publicity any photograph could have been used, this illustration held the capacity to transform a picture into a mass medium. In the digital age perhaps the tables are turning and the photographic image carries too much of a ‘mixed message’, or we are simply tired of the ‘same old images’. Characteristics of photography are blurred with that of image manipulation and illustration and if we can not trust the visual evidence we see, we might feel more comfortable with overtly mediated images, at least we than know how to read these. Surely photography will be that footprint of reality and surely we will always want the experience of photography’s capacity to convey the evidential proof of existence. But beyond news photography we see boundaries shifting and with the digital media an entirely new visual territory opening up. Has editorial visualisation now come full circle? Are we accepting images to be mediated visual creations, more concerned with the idea that needs to be communicated and the audience that needs to be reached? Like the melodramatic picture of the actress in distress in the ‘Illustrated Police News’, but this time round we have a more sophisticated visual understanding. Opening up to the breath of possibilities that lie within this realm, mixing classic illustration with photo- and video manipulation technologies and digital technologies including movement, sound and interaction should make for much more diverse visual approach where the boundaries between media are no longer of importance. Even though the parameters of the visual landscape are shifting, a closer look at the core characteristics of editorial visual communication will reveal how closely they still are connected to those early newspaper images. The ‘modest medium’ might be modest in the critical attention it attains, but in content and expression it can be bold, expressive and powerful. It can simultaneously connect, be outspoken yet claim innocence. It is supportive yet determines the context in which it is placed and it harbours a wider communicative freedom than written words or news photographs. By operating with a relatively undefined status, it does not need to apply itself to any rules outside its own playing field. And perhaps this special and deliberate ambiguity is its most significant core characteristic, which deserves better understanding. …’With lithography the technique of reproduction reached an essentially new stage. This much more direct process was distinguished by the tracing of the design on a stone rather than its incision on a block of wood or its etching on a copperplate and permitted graphic art for the first time to put its products on the market, not only in large numbers as hitherto, but also in daily changing forms. Lithography enabled graphic art to illustrate everyday life, and it began to keep pace with printing. But only a few decades after its invention, lithography was surpassed by photography. For the first time in the process of pictorial reproduction, photography freed the hand of the most important artistic functions, which henceforth devolved only upon the eye looking into a lens. Since the eye perceives more swiftly than the hand can draw, the process of pictorial reproduction was accelerated so enormously that it could keep pace with speech. A film operator shooting a scene in the studio captures the images at the speed of an actor’s speech. Just as lithography virtually implied the illustrated newspaper, so did photography foreshadow the sound film’. The Illustrated Police News was a weekly-illustrated newspaper, which was one of the earliest British tabloids. It featured sensational and melodramatic reports and illustrations of murders and hangings and was a direct descendant of the execution broadsheets of the 18th century. The Illustrated London News was the world’s first illustrated weekly newspaper. Founded in 1842, it was published weekly until 1971, monthly until 1989, and bi-monthly until publication ceased altogether in 2003. From about 1890 on the Illustrated London News made increasing use of photographs. The tradition of graphic illustrations continued however until the end of World War I.
 Walter Benjamin, Little History of Photography-Essay 1931 p.? This entry was posted on Monday, September 5th, 2011 at 12:30 pm.